Google's Android operating system has taken top spot as the UK's most common mobile OS, appearing on one in three British handsets. The findings by Kantar Worldpanel ComTech saw Android claim a 36.9% share of the mobile phone OS market, beating Apple's iOS into second place which accounted for 28.5%. RIM took third with an 18.1% share followed by Nokia's Symbian in fourth. The latest survey was taken in the four weeks up to the 23 January 2012 and during the same period last year iOS clinched top spot with 29.2%, Symbian took second claiming 26.7% and Android ranked third with 20.1%, ahead of RIM. Symbian has witnessed a dramatic fall from grace now finding itself fourth in the market (13.1%) according to the latest figures, after Nokia announced it would be phasing out the OS in favour of its deal with Microsoft's Windows Phone offering. Windows Phone is still way behind the other big hitters in the UK with it only managing a share of 2.2% of the market, but hopes that Nokia's commitment to the brand will see it take a considerable chunk in 2012. Although Android now commands the OS market share the iPhone is still likely to be the most popular handst in the UK, as the 36.9% Android share will be split between various manufacturers including Samsung, HTC, LG and Motorola. 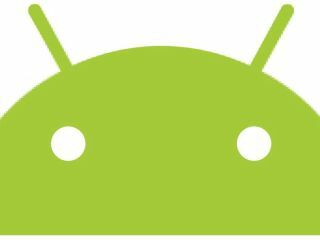 Android is also taking Europe by storm with big gains in the German, French, Italian and Spanish markets. Apple's iOS still reins supreme in the US however, where the iPhone brand is especially strong.